Mad Creek Books, 9780814254943, 160pp. 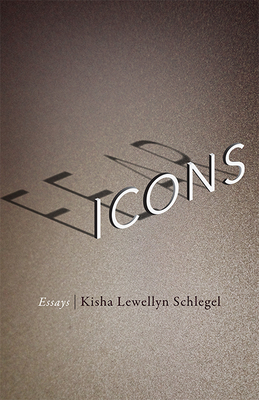 “Who are we to each other when we’re afraid?” Kisha Lewellyn Schlegel asks in Fear Icons, her moving and original debut essay collection. Her answer is a lyric examination of the icons that summon and soothe our fears. From Donald Trump to the Virgin Mary, Darth Vader to the Dalai Lama, Schlegel turns cultural criticism personal with bracing intelligence and vulnerability as she explores what it means to be human, a woman, an artist, and, in particular, a parent: what it means to love a child beyond measure, someone so vulnerable, familiar, and strange. Schlegel looks at fear and faith—the ways the two are more similar than we realize—and the many shapes our faith takes, from nationalism to friendship, from art to religious dogma. Each essay is woven through with other voices—Baldwin, Ashbery, Du Bois, Cixous—positioning Schlegel’s arguments and meditations within a diverse and dynamic literary lineage. Fear Icons is a vital and timely inquiry into the complex relationship between love and fear—and the ways that each intensifies the other. Kisha Lewellyn Schlegel is an essayist and Assistant Professor of English at Whitman College.